of a venture or initiative is to build a financial model. An essential step in determining the viability of a venture or initiative is to build a financial model. A financial model is used to quantitatively project real-life business scenarios, the results of which can range from determining how much capital to raise for a particular venture to defining a suitable valuation range to sell your company or acquire another one. Building an effective financial model for your business plan is vital and helps determine the economic viability of your business model. Investors are keen to model different scenarios for your business or idea. Modeling scenarios such as, “What will happen to cash flow if sales increase or decrease by 10%?” are critical to potential investors, and the financial model is the tool that helps them obtain a view on this and a multitude of other scenarios. We are experts at financial modeling and in efficiently quantifying your business model. Our professional consultants bring significant experience from demanding investment banking positions and have consulted across a wide variety of industries working with different financial structures. Matt brings 9 years of investment banking advisory and transactions experience to the Advisory team. He has advised over 40 clients across different industries and geographies. 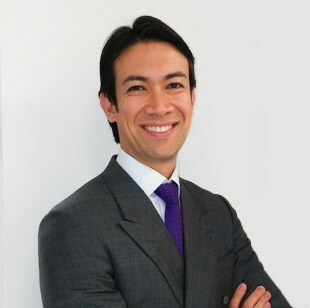 Matt is fluent in development project pre-feasibility and the life-cycle of transactions ranging from $10MM to $250MM and having led such transactions from valuation and deal structuring to distribution, capital raising and negotiation for a variety of corporations at different stages of their development. He has worked with clients domiciled in many international locations including both North and South America, UK, the Middle East, Australia, and New Zealand, among others, and interfacing with different cultures. Matt leads a team of 9 Analysts in the Advisory Division.